While HTC just announced three new smartphones in India today, including the flagship HTC One (M8), Sony has announced the Sony Xperia M2 in the country. 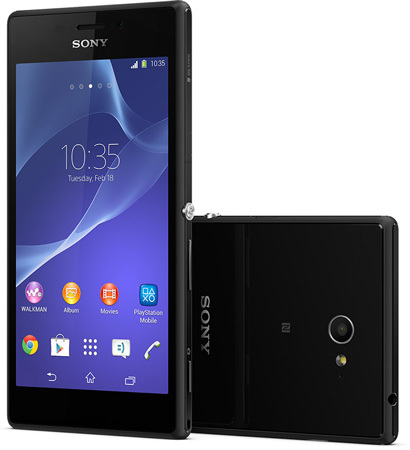 The Sony Xperia M2, which is the successor to the Xperia M, has been launched in India. The device has a 4.8 inch display with higher resolution of 960 x 540 pixels. The smartphone is powered by the quad core Qualcomm Snapdragon 400 processor clocked at 1.2 GHz along with 1 GB of RAM and 8 GB of internal storage. The Sony Xperia M2 has dual SIM support. While the global version of the device has 4G LTE connectivity, the handset available in India would offer only 3G connectivity. The handset is equipped with an 8 MP rear facing camera with Exmor RS sensor. The device runs on Android Jelly bean with a 2330 mAh battery. The handset is priced at Rs. 21990 and would be available from April 25 in black, white and purple colour options.